Exercise has never been my thing. The highest level of physical activity I had done in the last couple of years, was to use the staircase, when the elevator in the building was out. Now with that said, I should clarify that I do walk whenever possible and really like hiking. Maybe mostly, because after a long hike I get to reward myself with something really unhealthy, like any kind of a deep fried goodness. It was a sunny day and we decided to try and hike up the old railroad tracks after lunch. 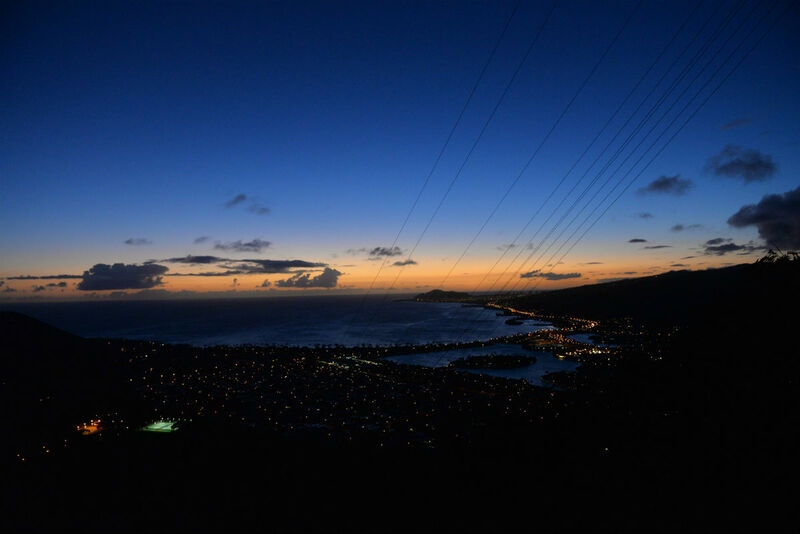 So it happened, that we kept postponing the time to start our hike and we ended up reaching the Koko Head Crater Regional Park shortly before sunset. My initial disappointment of starting our hike late, turned into awe as I started to appreciate the real scale of the park. 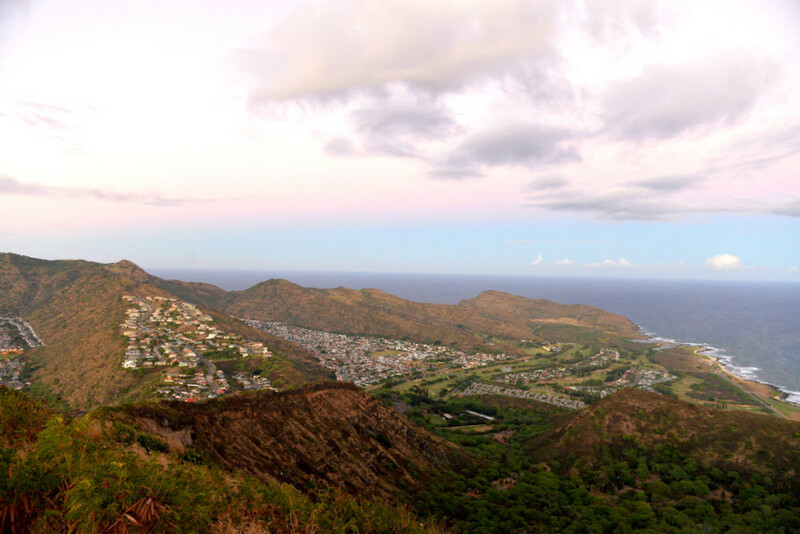 Koko Head Crater wasn’t created for the faint at heart. More than 1,000 steep steps were standing between me and the 365 degree view at the summit. 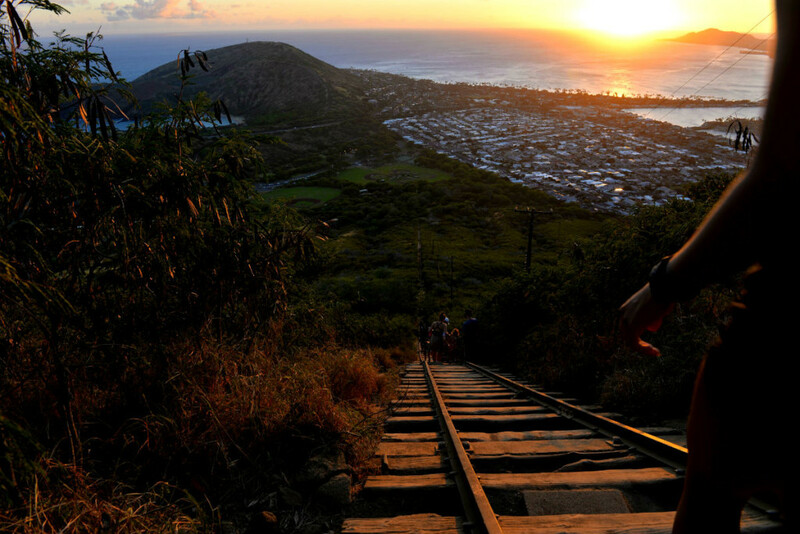 Starting from a paved path leading from the parking lot, Koko Head Crater Railway trail was originally built to haul supplies and troops up to the summit during World War II. Now it mainly serves as a reminder to people about how unfit they are. The climb became vertical almost immediately, which lead me to wonder am I hiking or actually rock climbing. About 2/3s of the way up the railway left the mountain side for a bit and my heart left my body for a bit too. The fact that it was shortly before sunset, didn’t improve the situation much. The intensity of the climb got us soaking wet and the humid, warm weather just complimented to our ‘fresh’ feel. At some point my legs started giving up. I decided to just sit on one of the wooden planks and rest for a bit. 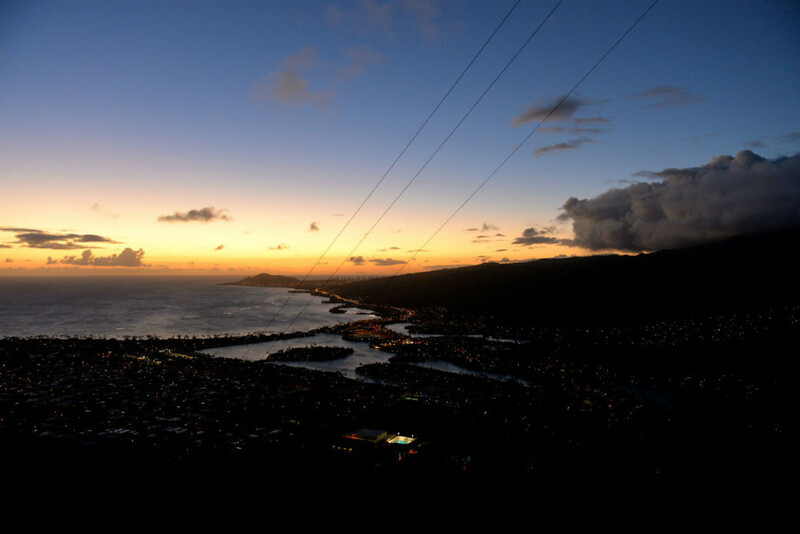 The view of the lagoon right opposite me, and the Diamond head to the left, was literally breathtaking. I struggled to regain my normal breathing and tried to be as classy as possible while swiping all the sweat covering my face. As I was preparing to continue climbing up, a man, probably in his seventies, passed by me. He was jumping with joy and oh, so effortless in the way he was coming down the steep way. He looked at me and gently said: “You can do it. It is not that difficult from here and not that far to the top too”. And all of it were lies. Big, fat, sweaty lies. Few stops and few attempts to catch my breath later, I managed to drag myself to the end of the railroad. I did it and it was so worth it. The unblocked panoramic views of Honolulu and the rest of Oahu were worth every single drop of sweat, every single leg muscle cramp and the every single dirt particle stuck underneath my fingernails. Because when I hike, I always arrive in style. 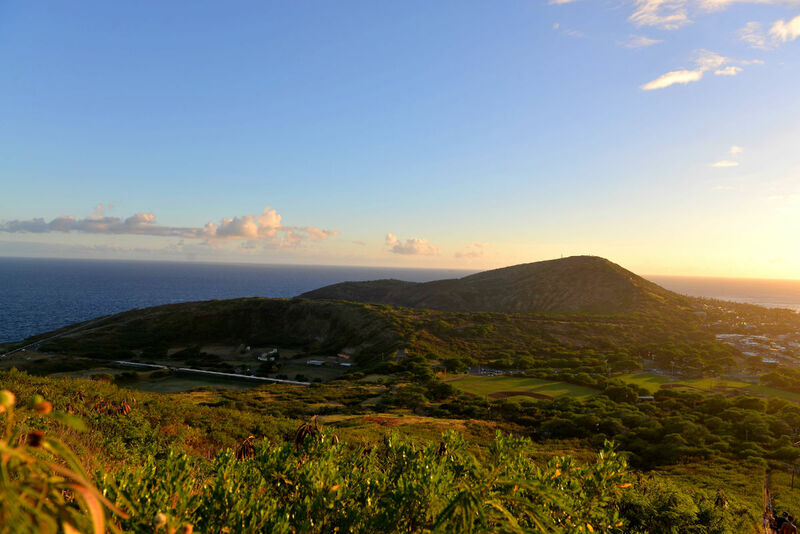 The summit greeted me with the fresh, salty breeze and the unblocked views of Hanauma Bay . There were a lot of people, but wasn’t crowded to the extend I would want to immediately run back. The sun was already setting down and the visibility was becoming quite limited. As there weren’t any lamps to light the way, we had to use our phone flashlights. This extended the time we needed to go down quite considerably, but it was fun nonetheless. I would scratch this activity, as successful, in my list as I didn’t fall down or you know, didn’t roll downhill not even once. To me this already counts like success.